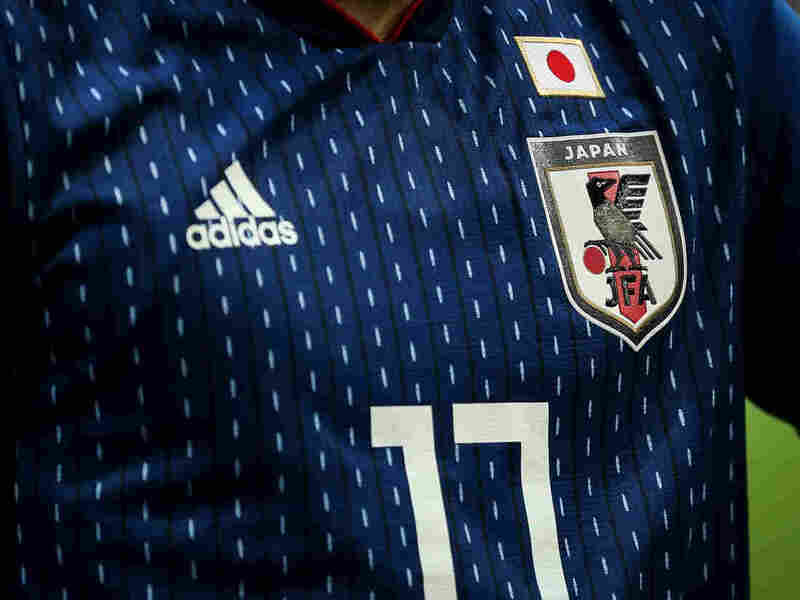 PHOTOS: The World Cup Is A Spectacle Not Only Of Sport, But Of Style You'd be forgiven for confusing airport tarmacs of Russia for the catwalks of Milan: From street-ready kits to swank trophy cases to entire teams in matching suits, the World Cup aims to impress. 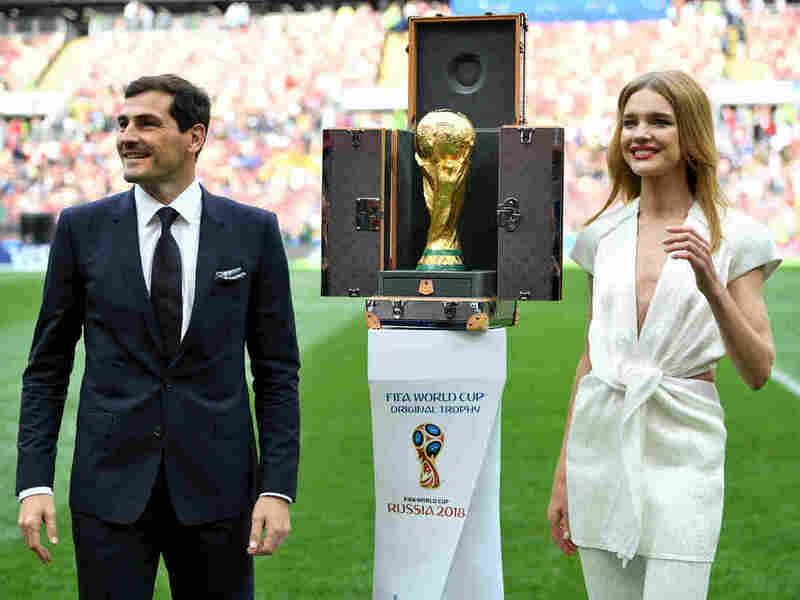 Former Spain footballer Iker Casillas and model Natalia Vodianova next to the World Cup and its custom Louis Vuitton case. 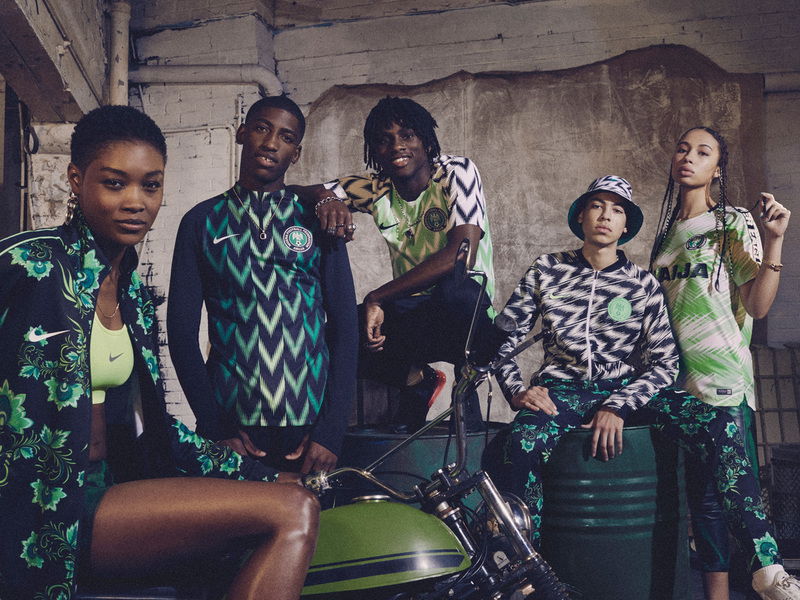 Nike successfully marketed its Nigeria jerseys not just as sports gear, but streetwear. Long queues formed outside the Nike store on London when the kits went on sale June 1, and they sold out immediately online. More overlooked has been the Nigerians' style off the pitch. Check out the team en route to Russia, looking suave in white fedoras and green-tasseled loafers. You'd be forgiven for confusing the tarmacs in Russia for a catwalk in Milan. If there's one thing we remember every four years, it's that sporting men in matching, well-tailored suits make an impression. Man buns optional, but encouraged. Take the Iran squad, for instance. The Iranian team arrives at Moscow's Vnukovo International Airport last week. Or Cristiano Ronaldo and Team Portugal. Portugal forward Cristiano Ronaldo waves as his team arrives at their base camp on the outskirts of Moscow last week. And Iceland, World Cup rookies. Birkir Bjarnason (C) of Iceland. FIFA, never shy around sponsorship opportunities, made a deal with Louis Vuitton to design a carrying case for the World Cup trophy. Just before kickoff at the opening game on Thursday, Russian supermodel Natalia Vodianova was there to introduce the Cup, which was awkwardly perched in its custom luggage. But now that the games have started, all eyes are on the pitch. (Did you see Portugal vs. Spain today? Incredible match.) And with the exception of Nigeria, most of the uniforms look ... a lot like they always do. You can keep wearing your hot yellow Brazil jersey from 12 years ago, because except for some minor futzing around the collar, it's the same. Ditto Argentina, with its trademark sky blue and white stripes. 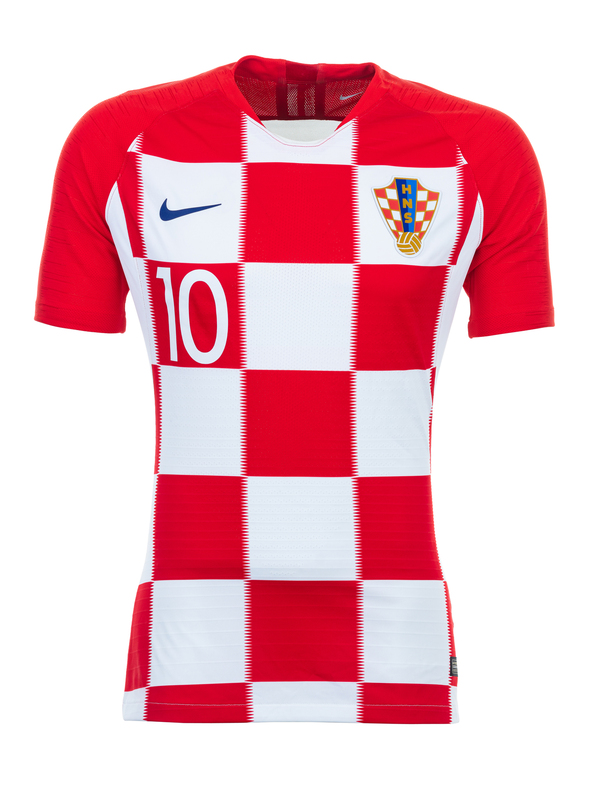 And Croatia! We'd know your red-and-white checks anywhere, even if they have extra pizzazz this year. The kits for Japan, whose team is known as the Samurai Blue, have extra flair and are in fact samurai-inspired, with a dark indigo color that symbolizes victory. Meanwhile, the most unlikely fashion display so far belongs to the trendsetters at the United Nations Security Council, who wore their countries' jerseys to work on Thursday. 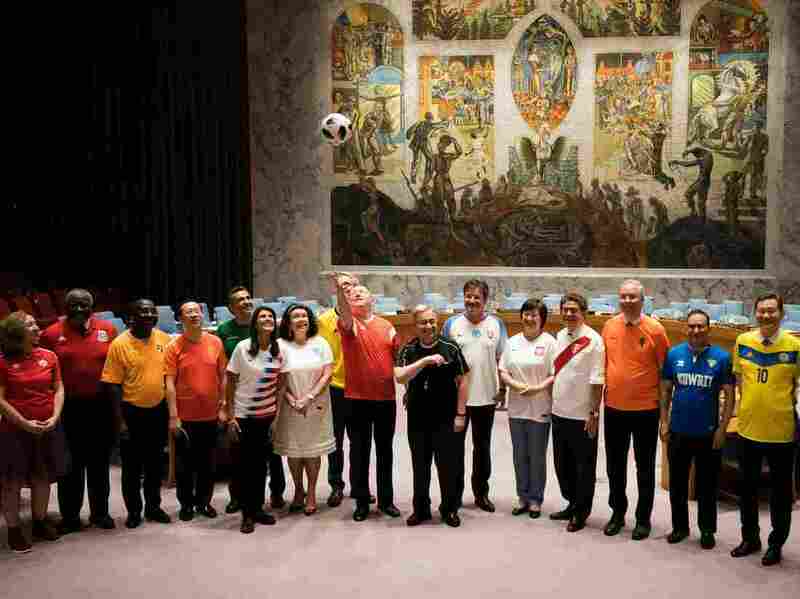 Security Council members wore soccer jerseys on Thursday at the United Nations in New York. This year's Cup is missing the bright oranje of Holland and the deep azzurri of Italy, as neither team qualified. And we'll never know what the U.S. kits might have looked like. Denim? Hoops? Both? A reporter can dream.